Butterfly sightings have been rare this summer. Last Sunday I found a hairstreak butterfly resting on a milkweed plant in the right-of-way near our cabin in Pine County. 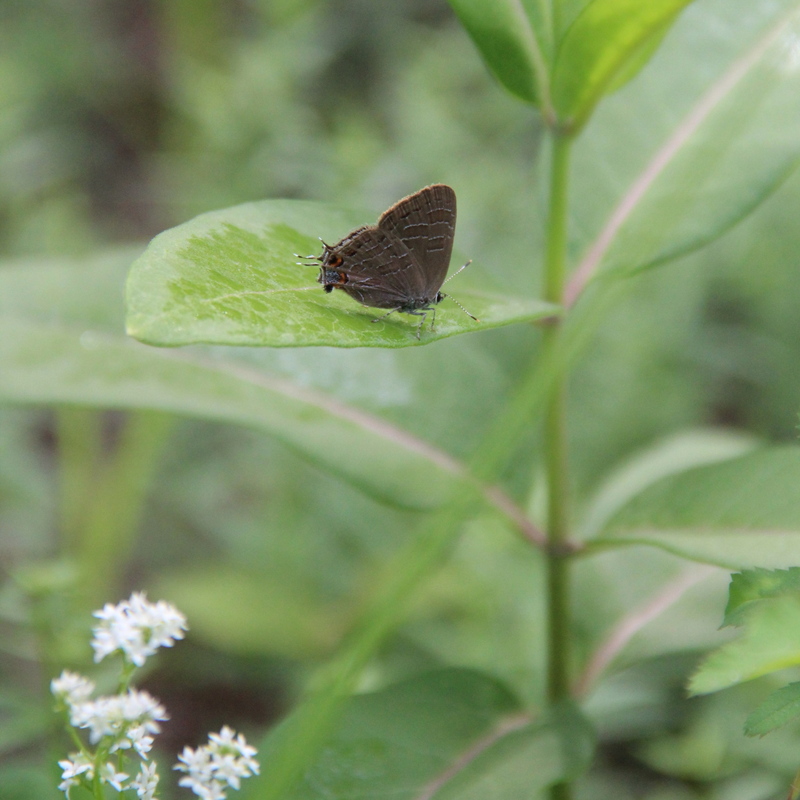 Though not positive of the species, based on the dark bands bordered by white on just one side, and the orange cap of color on the blue patch near the tail, I think it may be a striped hairstreak. This entry was posted in Insects and tagged butterfly. Bookmark the permalink.